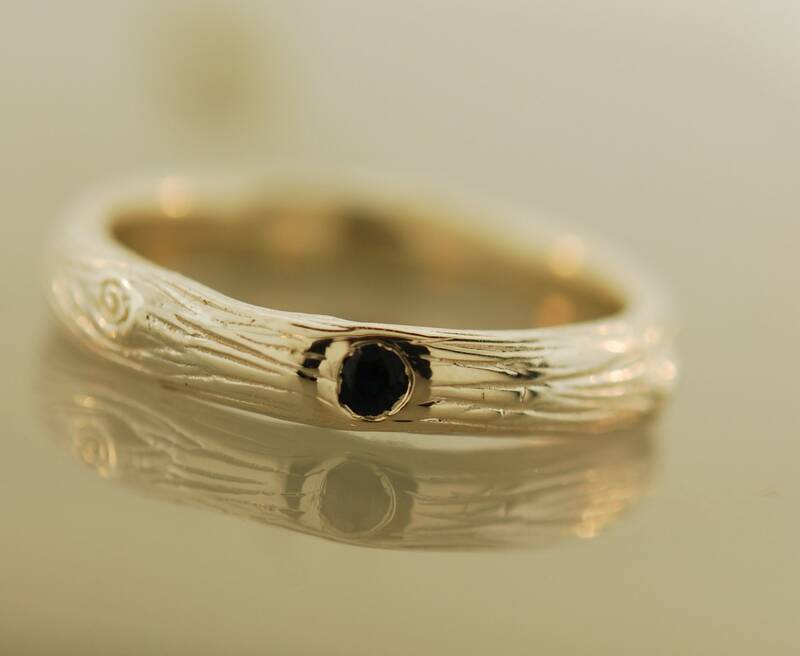 This ring has a refined bark texture with just a few knots. 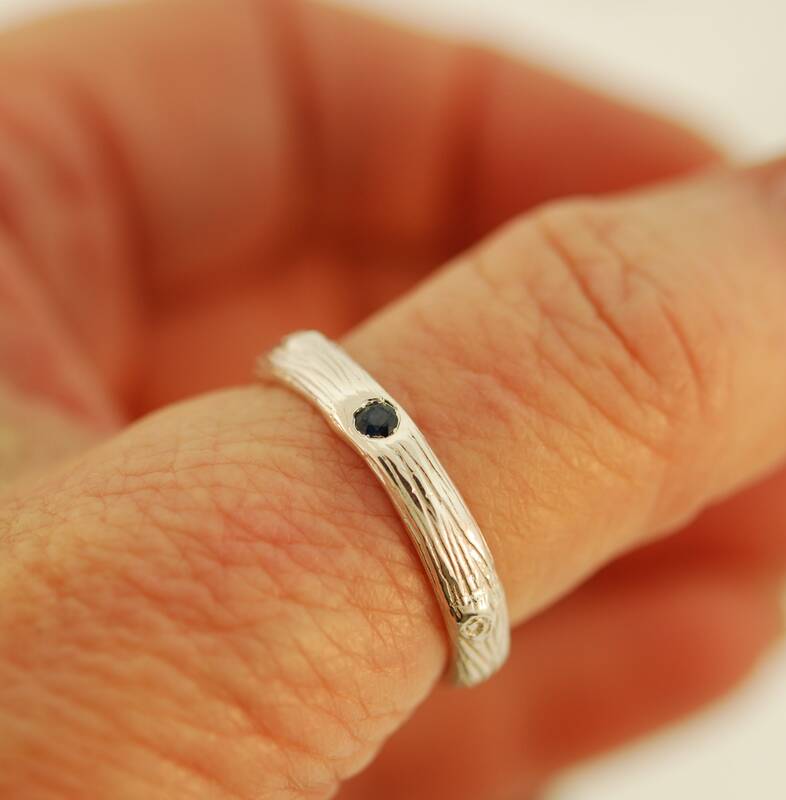 A 2.5 mm sapphire is set between the knots. This handsome combination makes a great match to many of my engagement branch rings. The ring in the photos is sterling silver. 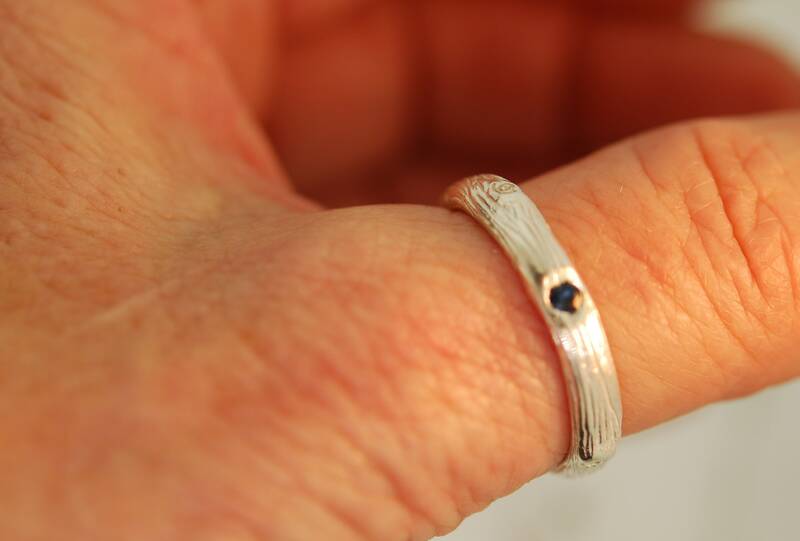 The ring measures around 2.25 to 3.00 mm thick and is around 4 to 4.25 mm wide. If you prefer a different stone please contact me. 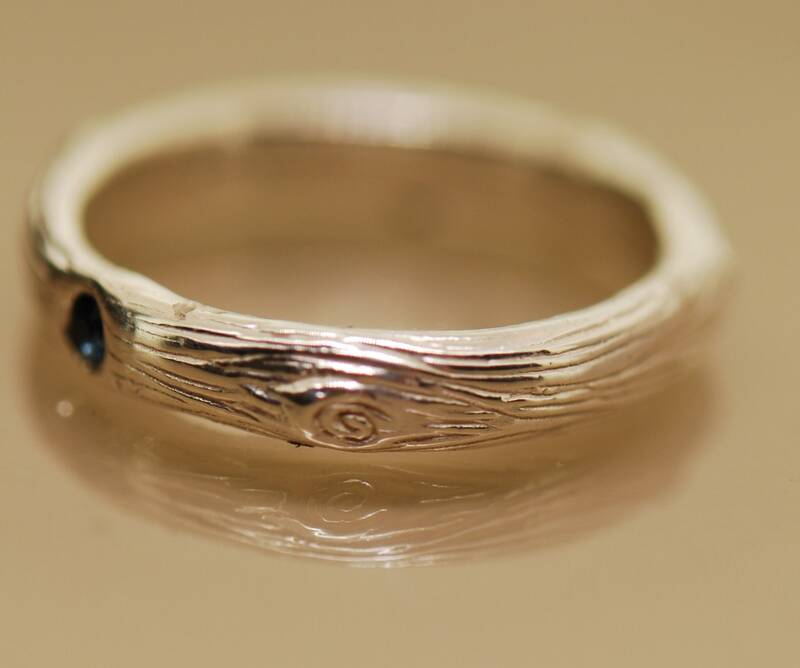 A great ring for your man or as a wedding band. I can make in rose gold, white gold, or yellow gold. Please email me for prices. 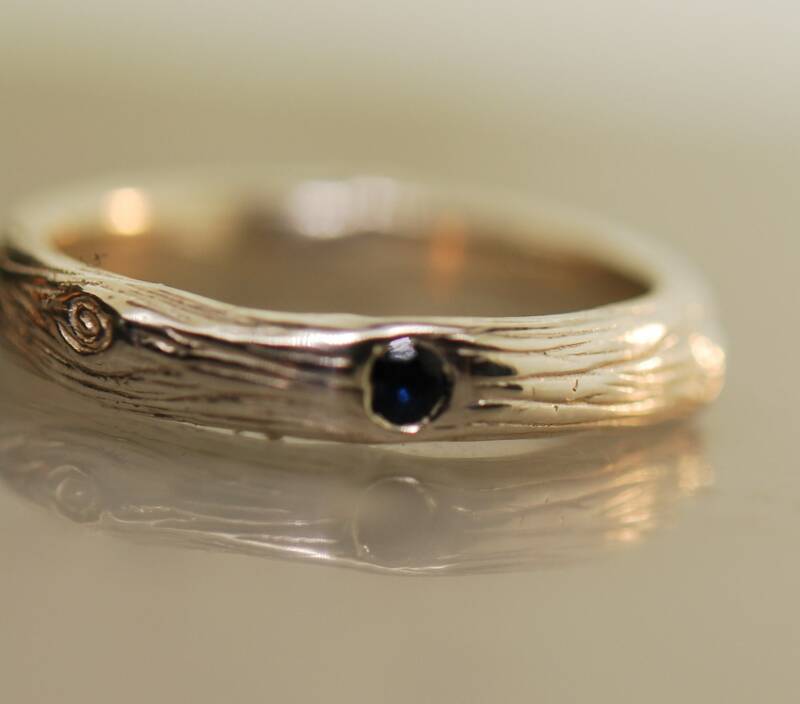 I can also patina the ring in the sterling.